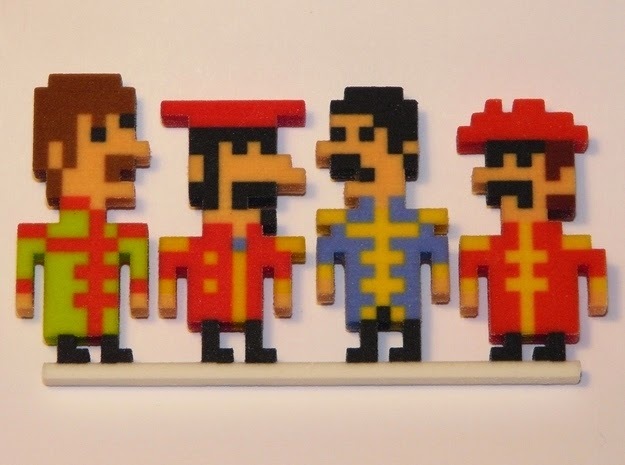 iotacons: 3-D Printed Sandstone Beatles iotacons! Tom Carlson has created 3-D iotacon sandstone models! They are available for sale at the link below. They are a little under 2 inches tall, and stand up nicely. Tom sent me a sample, and these things are amazing! Thanks Tom! Also available in Abbey Road, Ed Sullivan Show, and Yellow Submarine versions.